GreenChar manufactures and distributes clean-burning charcoal briquettes in Kenya, made from sugarcane waste. 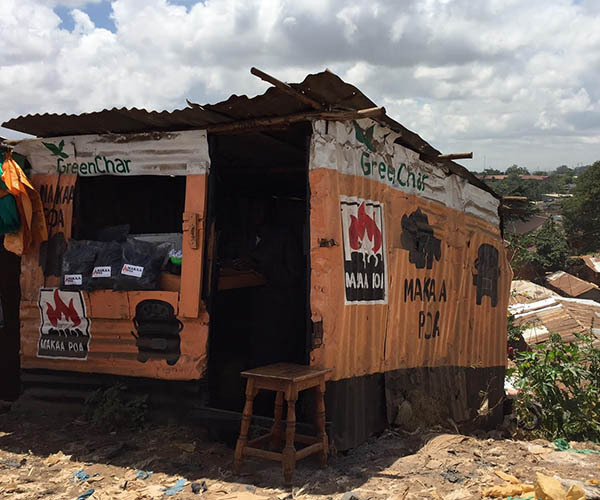 Founded by then-18 year old Tom Osborn, GreenChar is selling briquettes in rural Western Kenya as well as in the slums of Nairobi (pictured below). The goal is to expand this business across all of Kenya, replacing wood-based charcoal with a more renwable, cleaner-burning, lower-priced solution. You can help by donating today. Your money will go toward more production equipment to help fill the existing need. or contact us for details on sending a check or wire.